Note: A minimum quantity of 5 must be ordered, and in units of 1 thereafter. 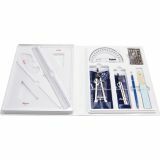 Chartpak Student Drafting Kit - Back to school! 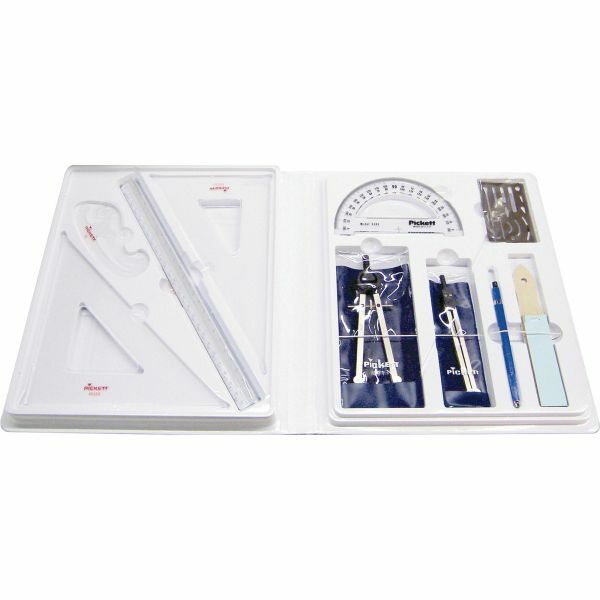 Student Drafting Kit contains all the basic drafting tools an architectural student needs. Includes two triangles (8 45 degree and 10" 30 degree), 6" compass, triangular architectural scale, lead holder, erasing shield, 5-1/4" curve, 180 degree protractor, 6" dividers and sanding block. Kit is packed in a locking plastic case with formed pockets for each tool.